You honed your craft, and won a role the spotlight on your shiny soul. Since its formation in 2009, the scrappy New York outfit known as Hollis Brown has emerged as one of America's most compelling young rock 'n' roll acts. Drawing from a bottomless well of classic influences yet firmly rooted in the present, the band's output has steadily evolved from the raw immediacy of its early releases to the more expansive, adventurous approach that fuels its bracing new album 3 Shots. ￼ Hollis Brown's progression from unpretentious garage combo to confident, distinctive musical force is evident throughout 3 Shots. The eleven-song set marks a substantial creative leap for the band, with such sonically edgy, emotionally resonant new tunes as "Cathedral," "Sandy," "Wait For Me Virginia" and the title track, which exemplify the quintet's balance of sharp melodic song craft, vivid lyrics and artfully-deployed electric and acoustic textures. Other highlights include the heart-tugging "Highway One," a duet with acclaimed alt-country songstress Nikki Lane, and the uplifting "Rain Dance." The latter tune is the product of a unique collaboration with fabled rock 'n' roll pioneer Bo Diddley, with Hollis Brown building a new composition around a previously unreleased rhythm track created by the late musical legend in his home studio, and featuring Bo's unmistakable guitar work. In addition to showcasing the deeply expressive songwriting of Hollis Brown's founding duo of singer/guitarist Mike Montali and guitarist Jonathan Bonilla, 3 Shots benefits from the road-tested rapport of the quintet, which also includes longtime bassist/vocalist Dillon DeVito and more recent additions Andrew Zehnal (drums) and Adam Bock (piano and vocals). Hollis Brown has already achieved an impressive series of career milestones in its relatively brief existence. Their 2013 indie album Ride on the Train helped to win the band an enthusiastic international fan base while attracting copious critical acclaim from the likes of Rolling Stone, Spin and American Songwriter. The following year, Hollis Brown Gets Loaded—a song-for-song reading of the Velvet Underground's 1970 classic Loaded—became a surprise international phenomenon, further expanding the group's loyal audience. Meanwhile, their tireless roadwork, both at home and overseas, has continued to spread Hollis Brown's reputation as a consistently inspired and exciting live unit. Those accomplishments set the stage for 3 Shots, which embodies Hollis Brown's established strengths while expanding into ambitious new territory. 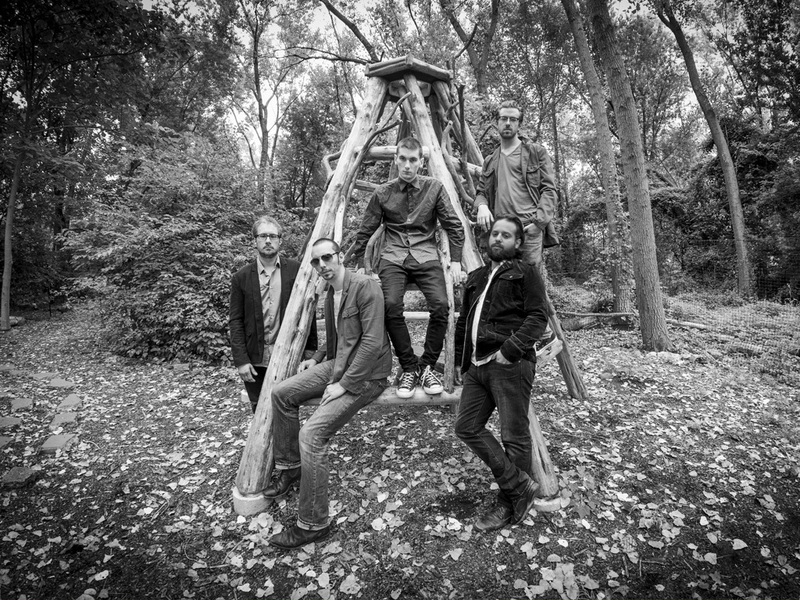 "We wanted to make more of a statement with this one, and expand the garage-rock vibe of Ride On The Train into something a little wider," Montali says of the album, most of which was recorded in an adrenaline- charged flurry of activity at producer Don Dilego's Velvet Elk home studio in the Pocono mountains, and mixed by noted studio vet John Agnello at Brooklyn's Fluxivity Recording. "We wanted a bigger drum sound, bigger guitars and a bigger record in general," Montali continues. Ride on the Train was everybody playing together in one room, and everything you hear on that record is what we played in that room. On this one, we crafted it a bit more. But we still only had 14 days to record and mix the whole thing, so it's still kind of rough." 3 Shots' vibrant vision is reflected in the thoughtful, outward-looking direction of the band's new songs, which often utilize memorable characters and dramatic situations to make their points. "I wanted each song on the album to have a unique voice and make a complete statement," Montali asserts. "So instead of just writing about myself, I made an effort to see the world through other people's perspectives." The same tactic has frequently been used by longtime role model Bob Dylan, whose 1962 song "The Ballad of Hollis Brown"—the tale of a poor farmer whose financial desperation drives him to kill his family and himself—inspired the band's name. "We didn't really think about it much at the time, but I think it's becoming apparent now why we chose to name our band after that song," says Montali. "Bob Dylan was the guy who took the folk/singer-songwriter thing and made it rock, so he was a big inspiration to the kind of band that we wanted to be. We also wanted to put it across that we're an American band, and that the songs come first for us, and obviously Dylan is songs-first kind of guy." Hollis Brown's progress reflects the honest, unpretentious work ethic that's fueled the band since former high-school classmates Montali and Bonilla formed a deep, music-intensive friendship as teenagers growing up in the neighborhood of Astoria, Queens. "It's always been a natural thing with me and Jon," Montali notes. "We weren't really close in high school, but we bonded over music after we graduated. We both went away to different colleges for a year, but the whole time we were away; we were talking about coming back to New York and putting a band together. So we both left school and started writing songs together, and we jelled instantaneously." Hollis Brown first began to attract fan enthusiasm and media attention with a series of D.I.Y. releases, including a self-titled album and the EP Nothing and the Famous No One, which attracted considerable attention despite sparse distribution. Meanwhile, the musicians embraced a rigorous road regimen, touring across America as well as several European countries. Before long, the band's songs began turning up in such places as MTV's Real World, Showtime's Shameless and the Willem Dafoe/Matt Dillon film Bad Country. After various personnel shuffles, Hollis Brown settled upon its current five- man lineup in January 2014, with native New Yorkers Montali and Bonilla joined by transplanted Ohioans Dillon DeVito (bass/vocals) and Andrew Zehnal (drums), and Missouri-bred Adam Bock (keyboard/vocals). "We did a lot of touring," says Montali. "So when we hit the studio to make the new album, we were on the same page musically and knew the songs inside out, so were able to make this record very organically. When you're doing a six-week tour in ten countries, and living, eating and sleeping in close quarters, you have no choice but to get comfortable making music together." April 2014 saw the release of Hollis Brown Gets Loaded, which was originally inspired by the all-Loaded set that they played at a Lou Reed memorial show in New York in the wake of the punk godfather's death. Although originally a 500-copy limited-edition vinyl release issued for Record Store Day, overwhelming fan response caused Hollis Brown Gets Loaded to take on a life of its own, leading to a wider CD/digital release and a wave of high-profile media coverage. "We originally jumped on it because Loaded was one of the first records that me and Jon bonded over," Montali explains. "It was just supposed to be a little, casual thing, but people went crazy over it. Now, at every single show, someone will come up and ask us if we're gonna do any Velvet Underground songs." But its Hollis Brown's own remarkable songwriting that's at the heart of its appeal—as the band's growing popularity makes clear. "It's a really good time for this band, I think," Montali states. "We've dealt with all the standard b.s. that you deal with when you're in a band, and I think that all of those experiences are reflected in the maturity of this record. I think that we're becoming the band that we're meant to be, and we're feeling a real sense of purpose now about what we want to accomplish."